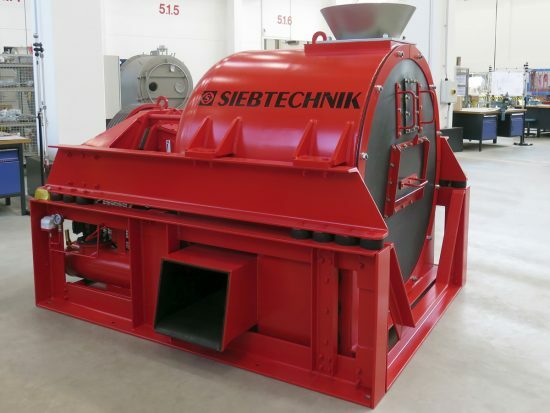 The SIEBTECHNIK CONTHICK screen decanter is a combination machine consisting of a solid bowl in the product feed zone and a screen bowl fitted downstream. Solid materials are separated by sedimentation in the solid bowl and thickened. 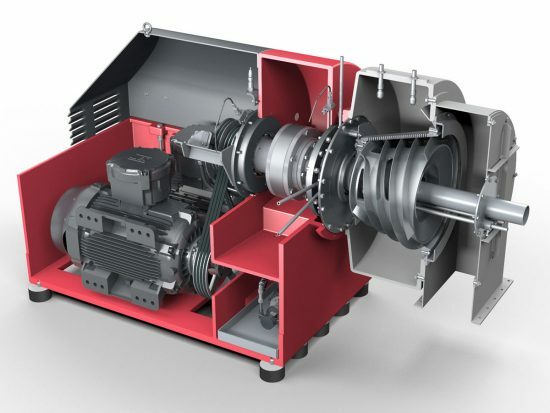 The product can then be washed and dewatered up to the mechanically separable dewatering limit. A further special feature of the CONTHICK is its overhung mounting. This design enables easy cleaning and fast access to the parts in contact with the product. 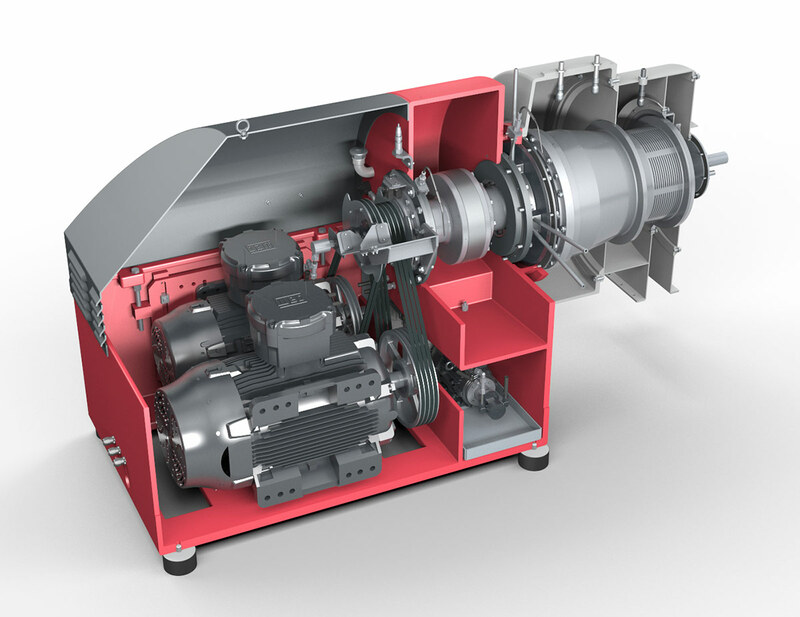 As a result, maintenance costs and maintenance times are considerably reduced. The second stream of liquid is drained off through a separate drainhole. 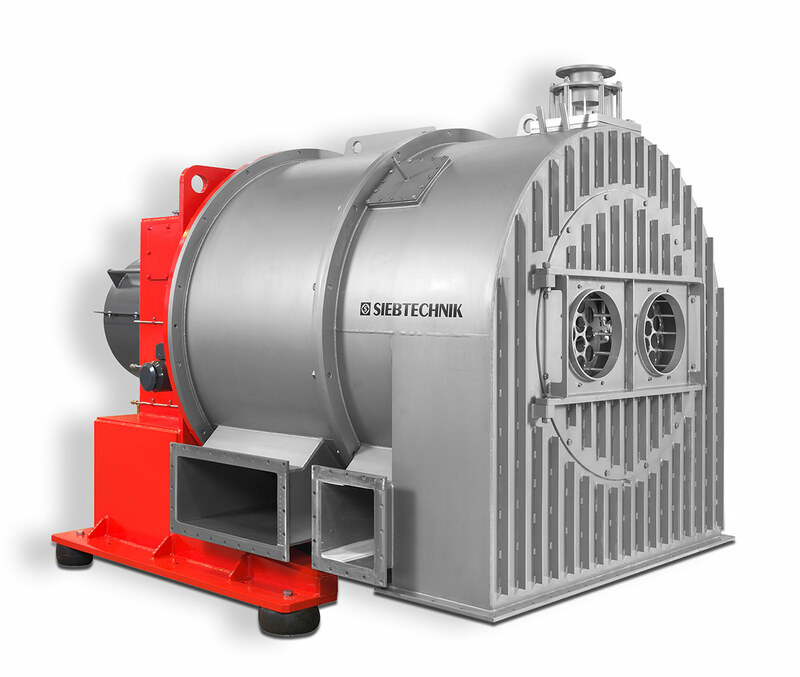 All CONTHICK centrifuges are individually adapted to suit product conditions and system requirements. 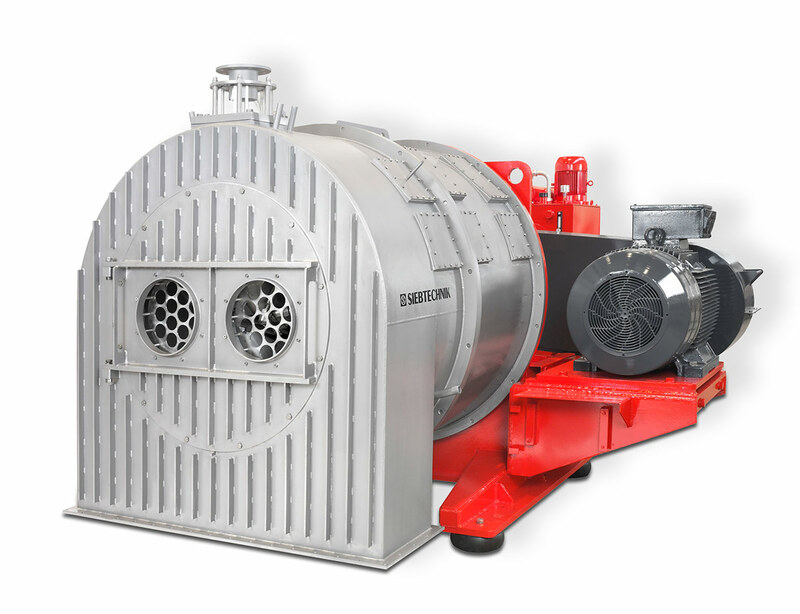 The design of this centrifuge is based on the technology of our CONTURBEX screen worm centrifuge with the addition of a pre-thickening stage. 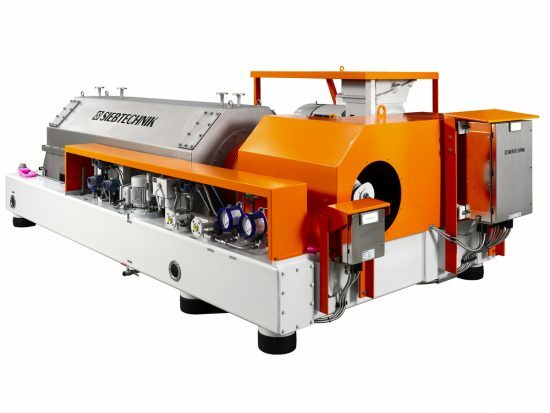 The aim is high separating efficiency, even with slightly-concentrated suspensions, and a high yield of fine contents. 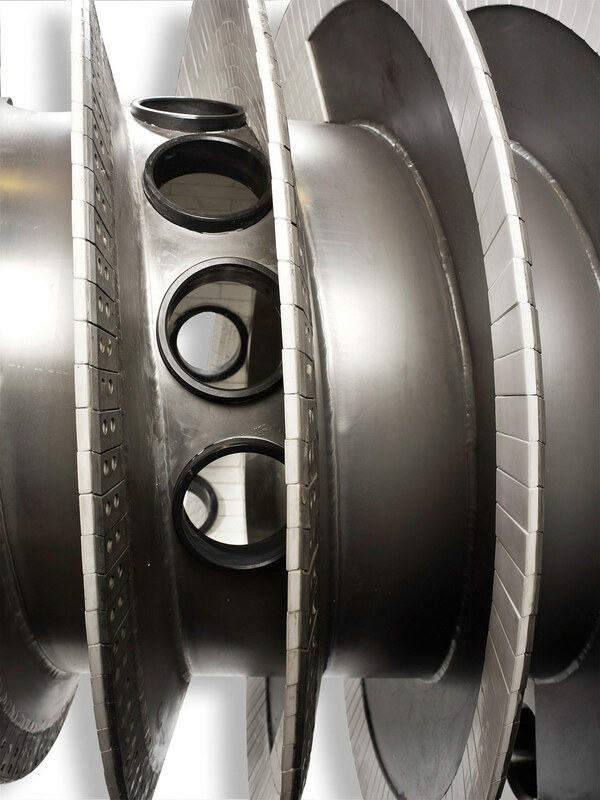 The task to be perfomed by this centrifuge consists in the separation of solid matter and liquids from suspensions. 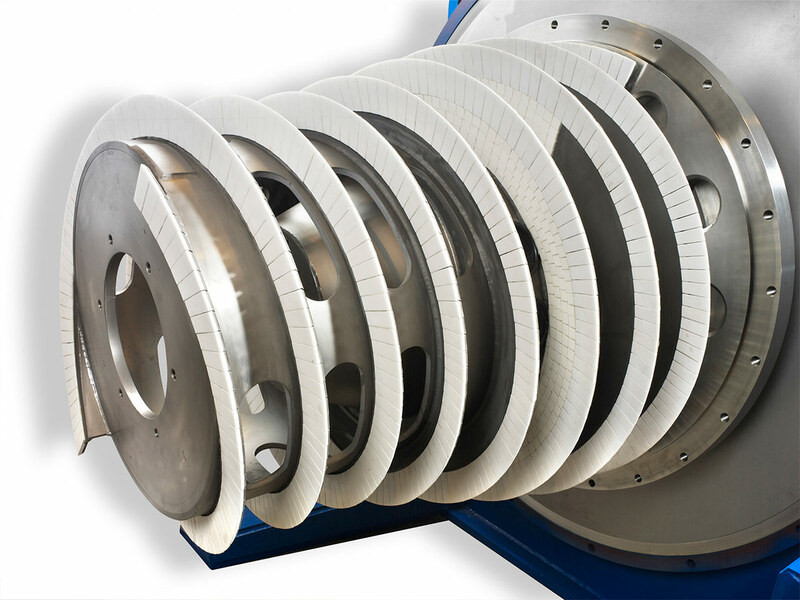 The suspension is fed into the pre-thickening stage of the centrifuge through an inlet pipe and apertures in the middle of the worm body. The main liquid content is drained off through a steplessly adjustable weir at the back of the solid bowl to obtain a clear filtrate. 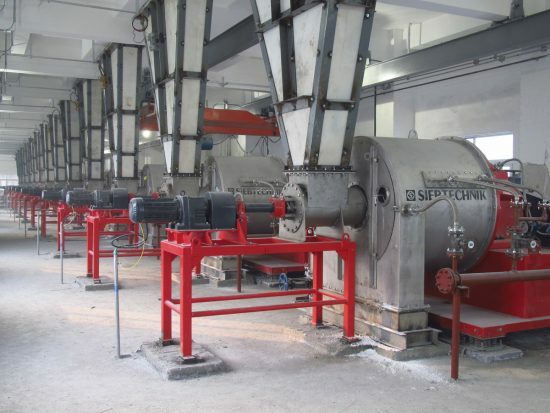 The solid matter is pre-thickened and conveyed from the worm to the screening section, where residual dewatering and, if necessary, product washing takes place. 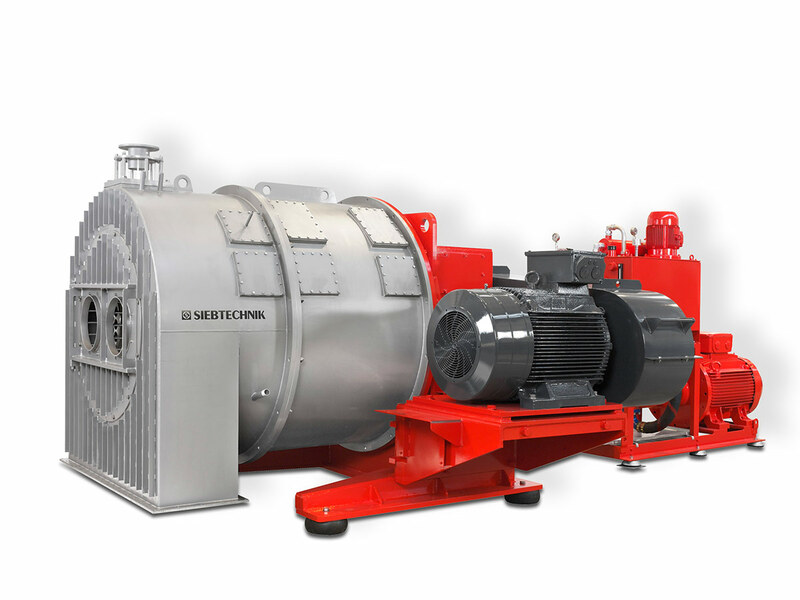 The streams of liquid from the solid bowl and screening section are optionally individually or jointly drained off by means of a single- or dual-cyclone separator. The loss of solid material here is relatively slight and can be further reduced by returning the screening filtrate to the feed. 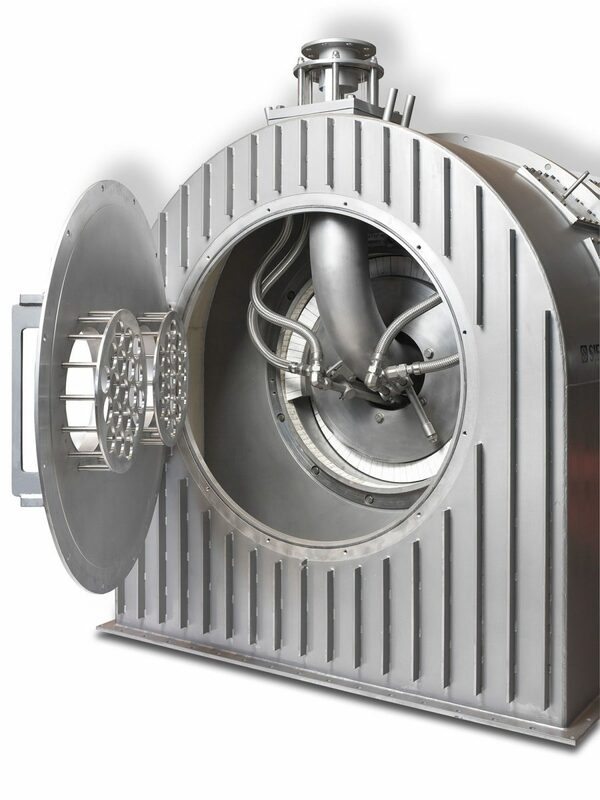 The solid matter is conveyed by the worm to the solids discharge housing via the cylindrical screening section. 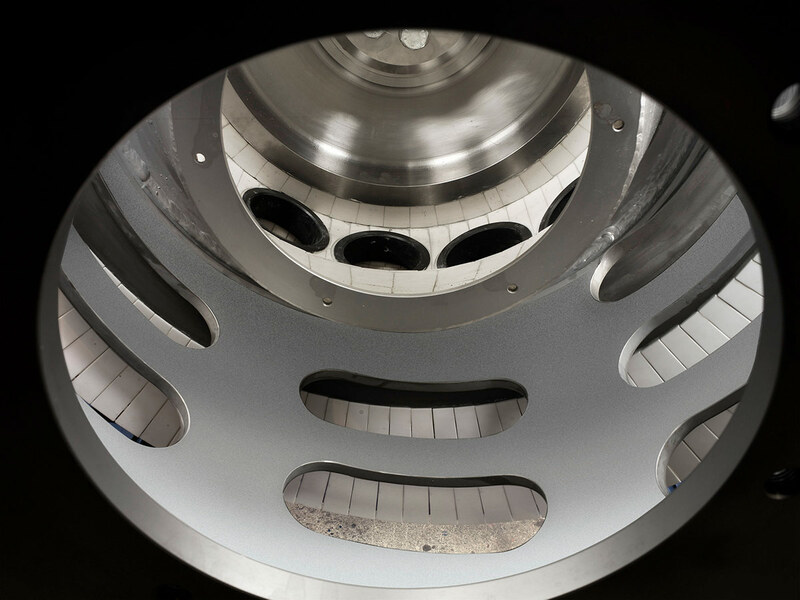 The centrifuge is fitted with a special profile slotted screen cloth. Depending on the application, a special screen plate can alternatively be used. 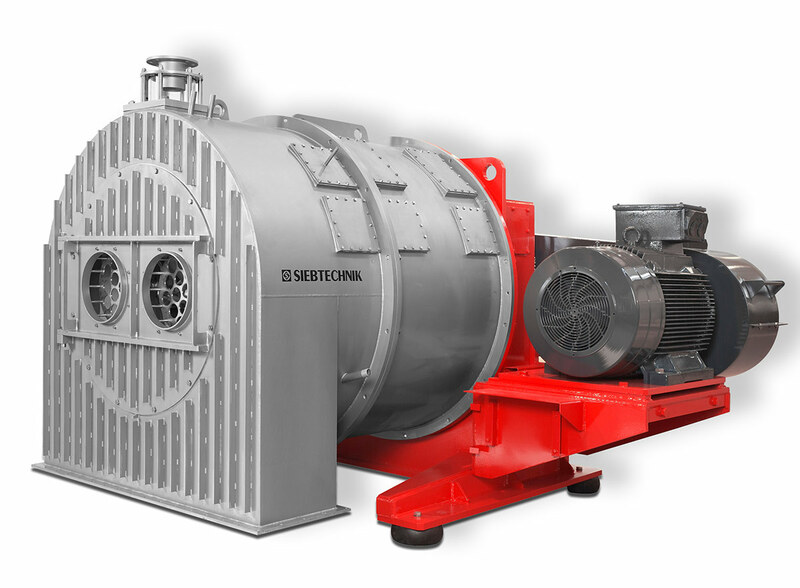 In all cases the screening elements can be very easily exchanged without having to disassemble the machine or the rotating parts.